We have added a Media Library (file upload widget) for the composer through which you can upload images and videos from your device. Navigate to Composer Blog Post section. Click on the Image Upload Icon. Once you click on it, a media library will appear on your screen where you can add your images. 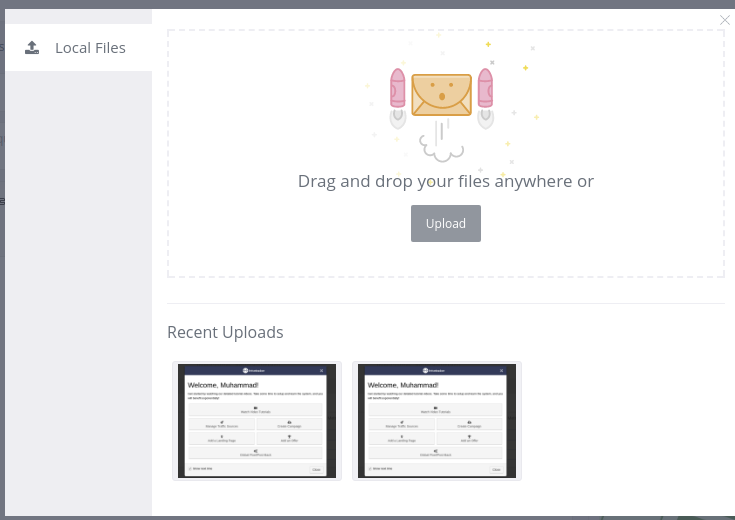 P.S We will soon have the integration available with Dropbox, Google Drive, Box and few others.